First the prestigious “Meilleur Ouvrier de France” (Best Craftsmen of France). Then “Compagnon du Tour de France” (Companion of the Tour de France) title. 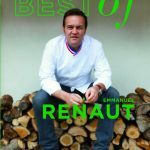 Ultimately, Emmanuel Renaut has been awarded his third star in the renowned Michelin Guide®. 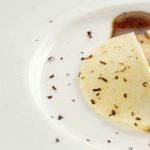 First of all, he took the first step in his career at the restaurant of the Hôtel de Crillon under Christian Constant, working in a team with Yves Camdeborde and Eric Frechon among others. Then, he joined Marc Veyrat at the Auberge de l’Eridan, and was second in command in its kitchens for seven years. 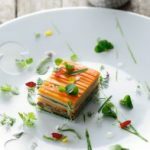 During this period, he also spent time working at chef Yves Thuriès’ restaurant. 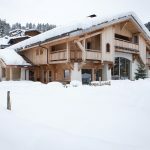 Furthermore, Emmanuel Renaut stayed in London, during which he helmed the kitchens at Claridge’s, before returning back to the mountains and set up in Megève, in 1997. Here, he founded his “Flocons de Sel” restaurant. 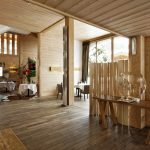 Today he is busy developing new services for his guests at his establishment at the heights of Megève: hotel accommodation, rental apartments and chalets, and a luxury Relaxation Area. “His cuisine is full of fragrance, and yet delicate at the same time. It is akin to our mountains: gentle waves, followed, in a divine twist, by infinite peaks”.